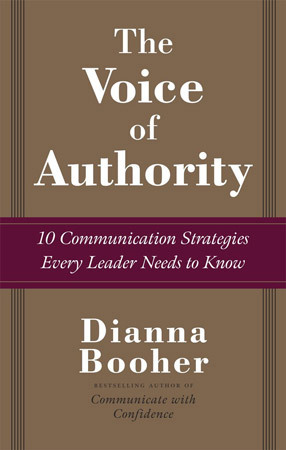 Fortune 500 consultant Dianna Booher is one of the world’s foremost authorities on public speaking and business communication. She has trained and consulted for some of the top executives in leading companies—and she has heard all the grumbling between departments about “the lack of communication” today. Using 10 clear-cut strategies, she will show you exactly what to say, how to say it, when to say it, and even how to present yourself credibly—all crucial elements in business today. Be Complete. Be Consistent. Be Concerned. These rules—and the seven others Booher outlines in this book—sound simple enough. But these essentials of good communication mark the difference between failure and success for any business, career, or relationship. Even if your communication technology changes—from email and voice mail to teleconferencing and blogging—the rules remain the same. You have to be credible as a communicator.